I’m the worst at having cute packages for gift cards. I end up putting them in little envelopes and they are totally unexciting to open. 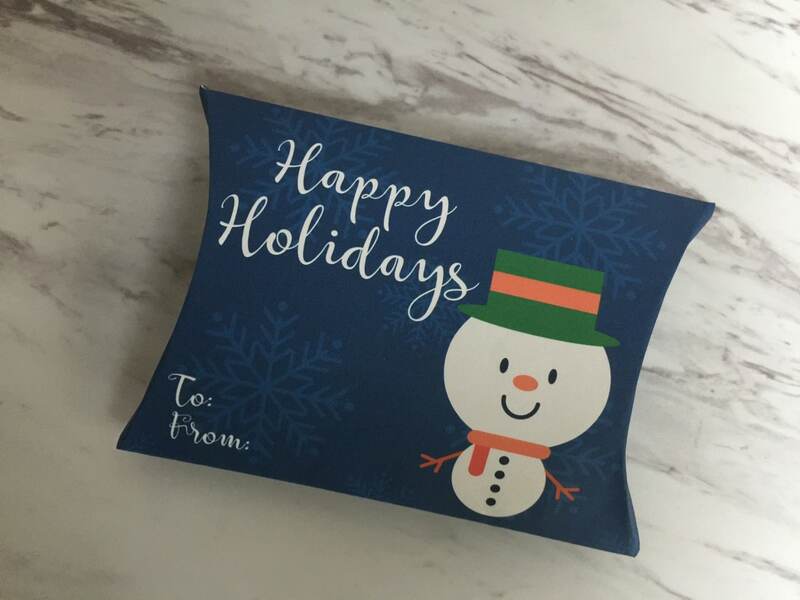 I remembered receiving a gift card in a gift pillow and thought I could make one of those. So, I did. Actually, I made three Christmas and Holiday Gift Pillows. If you click the link below, you will be taken to the pdf download of all three of them. And, I made them pretty big. 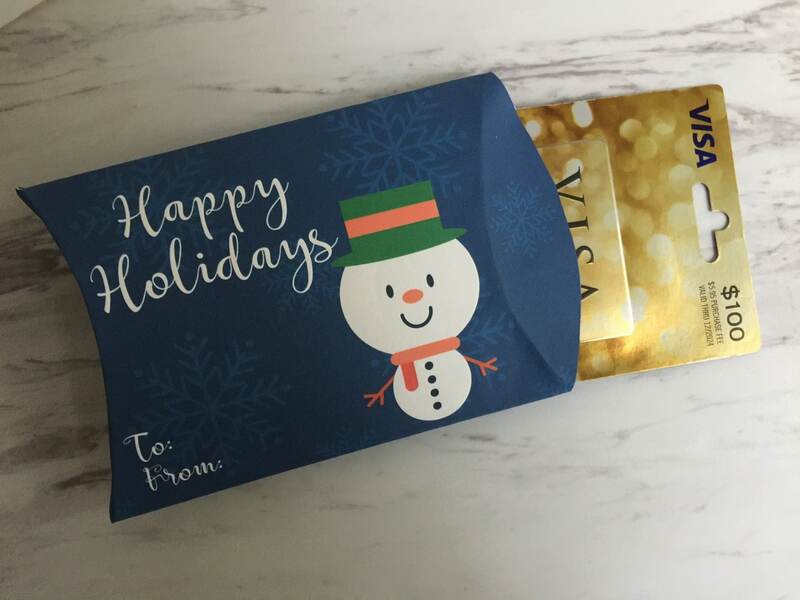 So, not only can you fit a full gift card with the packaging, but you could also fit some treats for a teacher, or a smaller gift. Santa, a snowman or a polar bear will all help you deliver your gift or goodies in style. 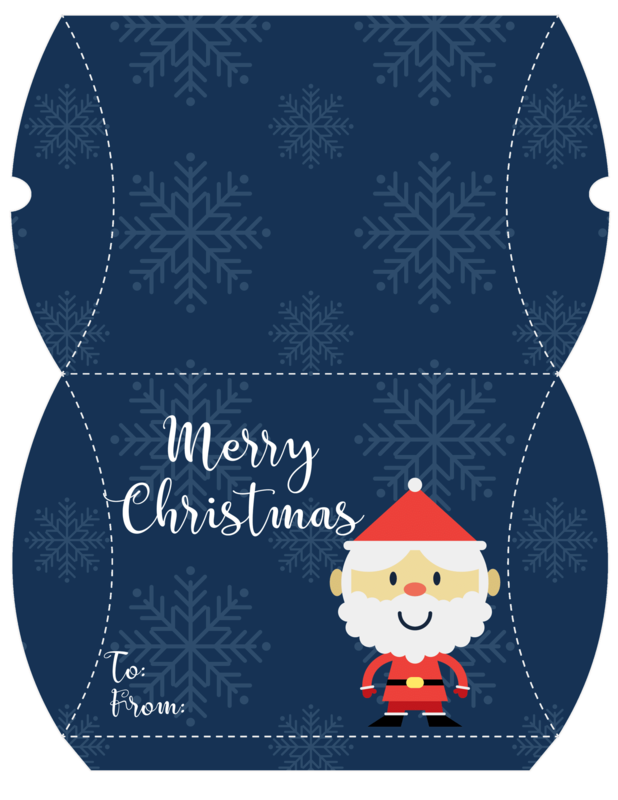 Once you print them out, just cut along the outside edge and the fold along the dotted lines. For the curved ones, I recommend starting in the middle and going to the edges. Or fold them over the edge of a cup or bowl. You’ll then have one straight edge that you will need to fold or glue to the other side to make complete. 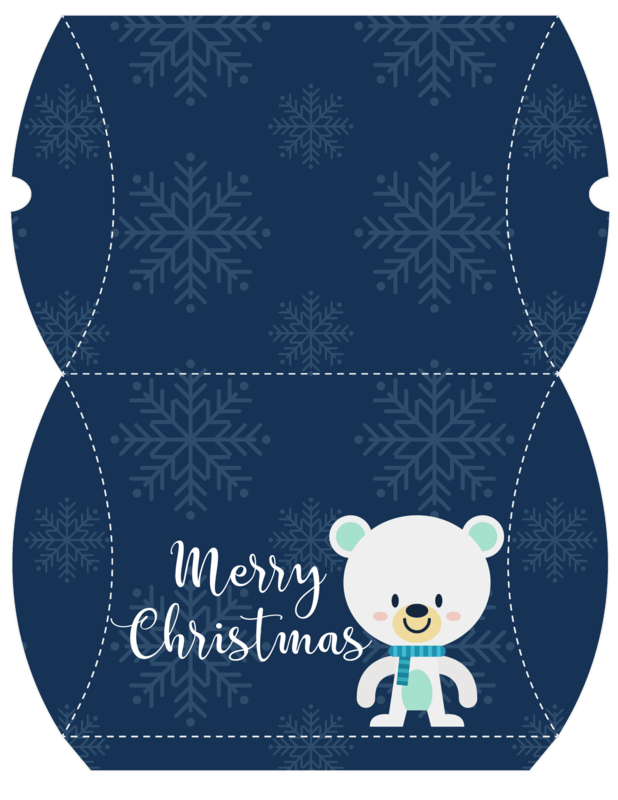 Finally, you slide your gift inside, fold the flap with the tabs in first and then the other flap, and your pillow is ready to gift. When you go to print them, make sure you are printing on card stock to a laser printer (preferably). 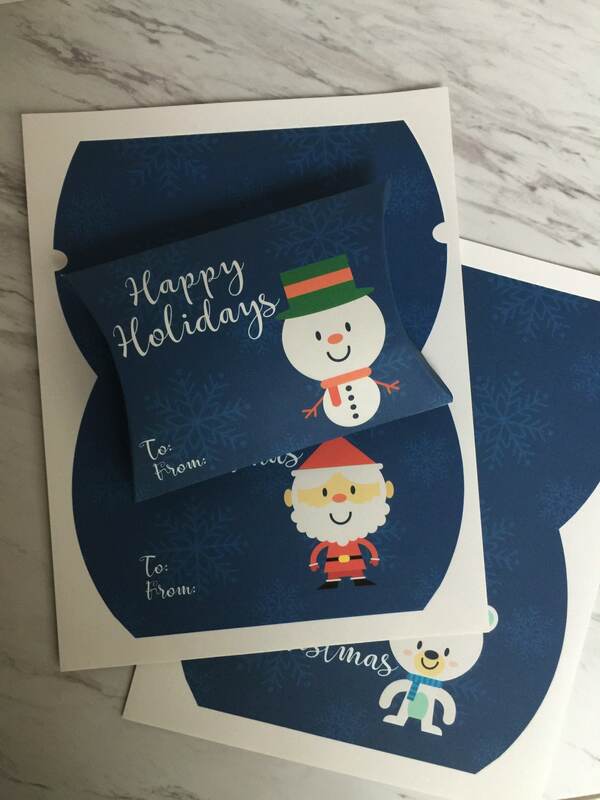 I printed one per page to make a bigger pillow that holds a gift card on it’s tag (shown above), but you could print two per page to make much smaller gift pillows for treats or smaller gifts. These are only for personal use. Not commercial use. Please do not resell these as your own or upload them anywhere else. Thank you! 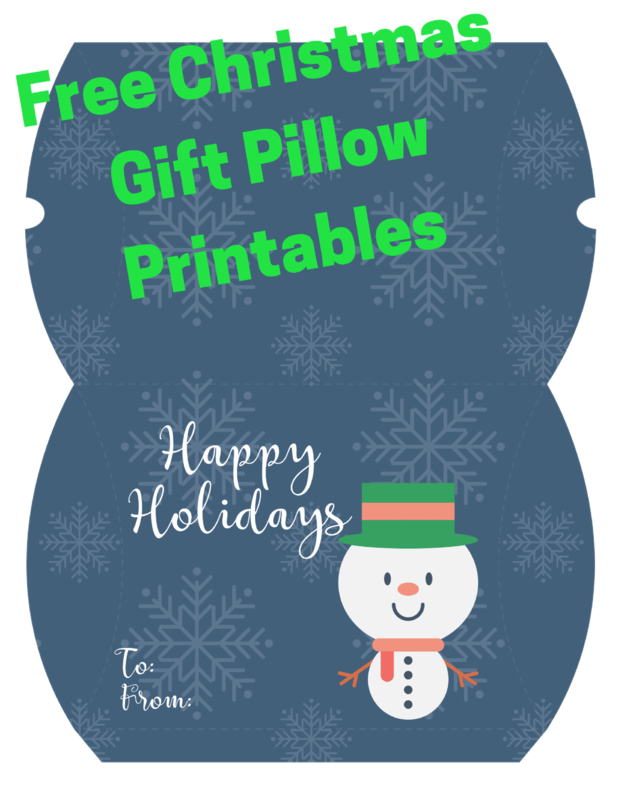 How will you use these printable gift pillows? Those are really cute designs! 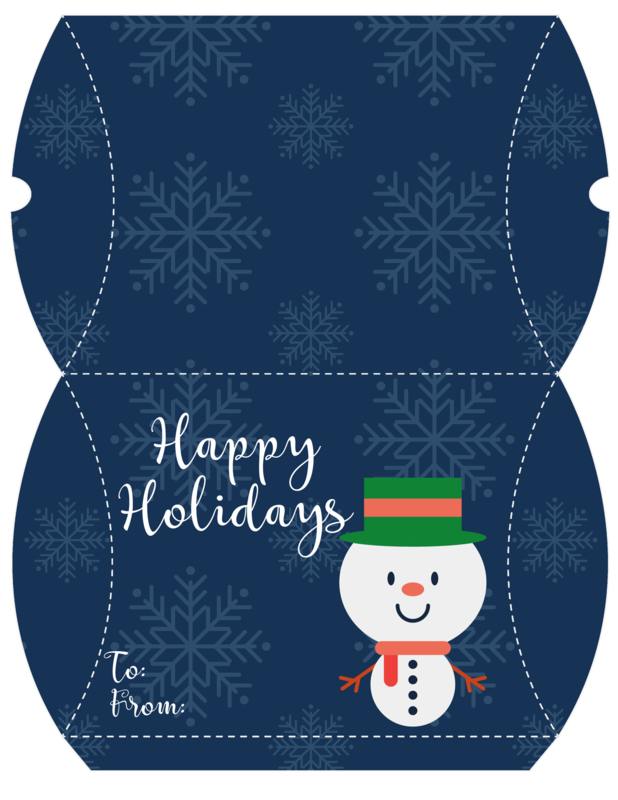 Cute way to dress up your gift card! Oh these are so cute! Would be perfect to put a little candy in or something from our Elf at night! This would be fun to use this Christmas for gift cards.